Catering recruitment agency: Here are some of our Top garlic dishes. Catering recruitment agency: Top 5 garlic dishes. If your a garlic lover then keep reading! Garlic is one of the most used ingredient in Europe, it is a member of the same group as leeks and onions.It is also a very nutritious ingredient containing Vitamin C, Fibre and has very few calories. These are a few of many delicious garlic recipes that are trending right now! A delicious veggie bake, made with red lentils, potatoes, sliced aubergines, onions, garlic, thyme, chopped tomatoes, grated cheddar and ricotta cheese.It can be served with a green salad too! This dish takes approximately less than 30 minutes to prepare and 30 minutes to 1 hour to cook. See here for the full recipe. Fancy a Japanese night for dinner? Sticky chicken is a simple yet luscious recipe for any party and any night. Whether its a family night in or a dinner party with friends! This course is made with garlic granules, sesame oil, mirin, soy sauce, honey, chilli flakes, onions and of course; chicken thighs. It goes beautifully with rice and vegetables on the side. Less than 30 minutes is required to prepare and a maximum 30 minutes to cook. See here for full recipe. Light but scrumptious, this dish is perfect for a quick lunch. It is made with sliced ginger, lemongrass, sesame oil and soy sauce. Served alongside rice noodles, spring onions, roughly chopped garlic, red chilli, mint, coriander, rice wine vinegar and lime juice. This dish takes just under 30 minutes to prepare and 10 minutes to cook. See here for full recipe. A quick yet mouth pleasuring dish; perfect for a romantic dinner for two or a dinner to spoil your friends or family. This dish is prepared in less than 30 minutes and takes approximately 10 minutes to cook. You need one whole Camembert in its box, with sliced garlic, fresh thyme and a dash of olive oil. This can be served with a side of homemade garlic bread; You will need one ciabatta loaf, olive oil and peeled garlic. See here for full recipe. For more posts like this, keep up to date with our Blogs. MasterChef 2019 applications are now open! BBC One’s cooking competition makes a comeback for its twelfth series and is currently looking for talented and aspiring chefs ready for a claim to fame. Every year the judges are determined to find a chef to show off their talents and compete amongst other aspiring cooks -in exchange for a big money prize and a chance to create their very own cook book; pretty cool right? You must have the right to live and work in the UK (inc Northern Ireland and Channel Islands). You need to have worked for at least 2 years as a chef in a professional kitchen and/or have the necessary NVQ qualifications. Laurence Henry, 25, was the previous MasterChef Professionals winner who stunned judges with his three-course meal back in December in the 2018 finals. He now wants to open his own restaurant. So, if you are a contract chef, hospitality recruiter with a love for cooking and want to be like Laurence – Apply now for MasterChef The Professionals and come face to face with the UKs most driven chefs and fight for the winning place. Are you looking for a chef job or a catering job? Or are you working for a catering agency and are looking to make it on your own? Apply to KSB now and they will find you the best jobs suited to you. 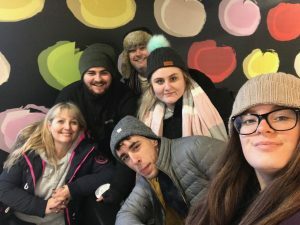 KSB’s fundraising has got off to a great start in 2019 as the team slept under the stars last month to raise awareness and money for the homeless in Birmingham. 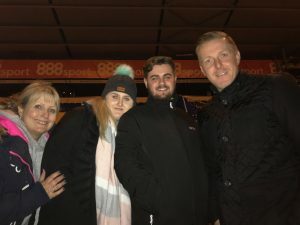 The team slept out on the concrete all night in the cold Birmingham City Football Club ground as part of a fundraising event organised by The Geoff Horsfield Foundation. The evening also saw a guest appearance from the Birmingham City Manager, Garry Monk. As a company, the KSB team raised over an impressive £1400.00 to help the Homeless of Birmingham although the team do not intend their fundraising to stop there – they will be taking part in further projects throughout the year too. KSB’s Managing Director Dawn Turbitt would like to thank all the KSB staff for taking part and all the friends and clients who kindly donated to their sleep out. So far, the company has carried out a Christmas Shoe Box Appeal where they collected 24 boxes of goodies for homeless people in the region. These would have made a huge difference to those living on the streets as they contained essentials they would not necessarily have access to. 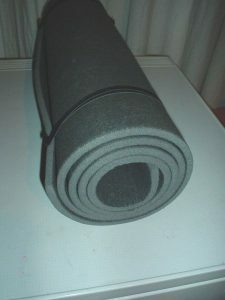 At the same time, the team collected £140 for the charity and purchased 40 sleeping mats for the homeless. Throughout 2019, the KSB Recruitment team will be fundraising in various ways and we look forward to keeping you up to date on what we have been doing and how much we have raised. You can find out more about the team’s Sleeping under the Stars fundraising event on our blog page and more about it on the Birmingham City Football Club website. If you would like to sponsor the team for their sleep out next week, please visit our Just Giving page. The KSB team will sleep under the stars next week to raise awareness and money to help the homeless of Birmingham. Whilst most people will be thinking about the romance from the previous day, the team will be joining 100 people who will be braving the chilly February temperatures at the St Andrew’s Trillion Trophy Stadium, home of Birmignham City Football Club, from 8pm until 8am on Friday 15th February. KSB believe that they have a social responsibility to give back and this year the plight of the homeless is where their focus is. If you would like to donate to this worthy cause and support the team sleeping out at the stadium on Friday 15th February, please visit the team’s Just Giving page. Just donating the price of one of your Friday night drinks could make a difference to someone living on the streets. 100% of the money donated will be passed on to The Geoff Horsfield Foundation, which was established in 2016 and prides itself on providing quality, safe and secure accommodation to vulnerable adults within the West Midlands. Thank you for your support and the KSB team look forward to sharing our experiences of the sleepover event with you in a couple of weeks! Find out more about the Sleep under the Stars fundraising event. KSB Recruitment Consultants are pleased to launch new recommend a friend scheme for the Catering & Hospitality industry.